The PVRC 2018 Reunion will be in three two-hour sessions with activity centered "on the 47's" to celebrate the founding of PVRC in 1947. PVRC's motto of "Once a member, always a member" shines through and this is an excellent opportunity to meet and greet on the air with members who are now living out of circle. Suggested CW frequencies: 1817, 3547, 7047, 14047, 21047 and 28047 kHz. Suggested SSB frequencies: 1847, 3847, 7247, 14247, 21247 and 28447 kHz. Moves between bands and modes are HIGHLY ENCOURAGED. 1 point for each QSO with PVRC member, work each member once per band-mode combination. Moves between bands, especially at slow times, are highly suggested! Spotting of PVRC members is highly encouraged. In fact, self-spotting in this event is encouraged as well! It's amazing the level of non-member activity you can stir up, especially on phone, with a few self spots. The on-the-air activity with nonmembers is an excellent opportunity to explain a little about PVRC as a contesting club to non-members, and point them to the PVRC website if they want more information about contesting or our club. 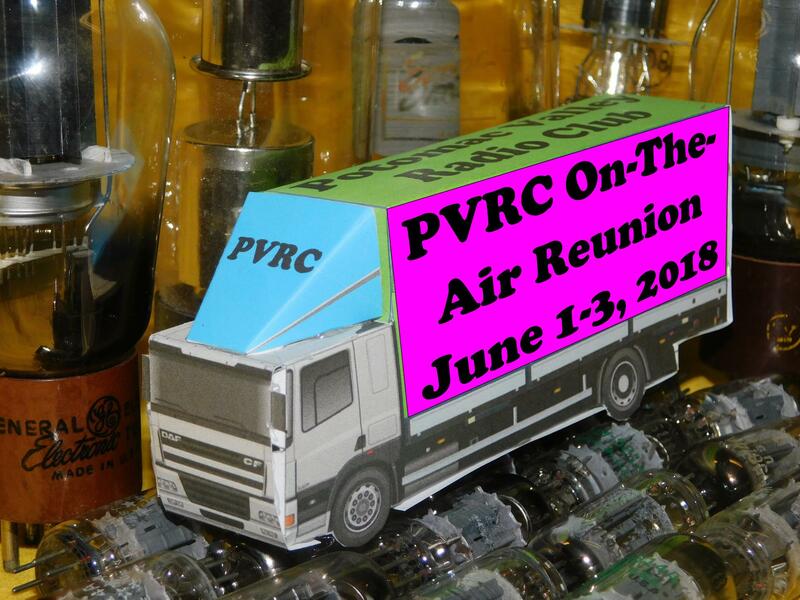 When spotting PVRC'ers for this reunion, please give a comment to the effect of PVRC Reunion. Both PVRC Members and Non-Members are welcome to participate. Non-members can work PVRC members for points and earn award certificates in their own non-member category. Call "CQ PVRC" on CW, and "CQ PVRC Reunion" on SSB. A PVRC member's exchange is the year you joined PVRC, your name, your state/country, and your callsign when you joined PVRC. Note: A non-member only gives his name and state/country for the exchange. You can use any general purpose logger for this contest. You will have to count up member and non-member QSO's when filling out the score summary form. A UDC file is available to teach N1MM+ how to handle the PVRC Reunion. It will handle scoring for you automatically. Please download PVRC2017.UDC and save it in your Documents\N1MM Logger+\UserDefinedContests directory. Then quit and restart N1MM+ and you will find PVRC2017 available as a contest log type you can create. A Youtube video is available to help you download, install, and use the PVRC2017 UDC module. Access it here: https://www.youtube.com/watch?v=ccVPtuB57-8. Also feel free to post your log summary and soapbox comments to the PVRC mailing list!